Are you looking for an electric log splitter that has enough power to handle both large and small splitting tasks with ease? If so, the Pow' R' Kraft 65575 7-Ton 15 amp 2-Speed Electric Log Splitter could as well be your best bet. 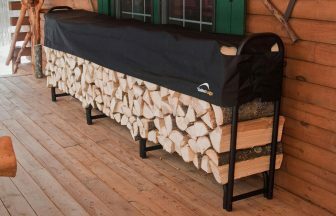 With enough power to cut through logs 20 inches long and 12 inches in diameter, this unit will take care of seasoned and fresh cut wood comfortably. 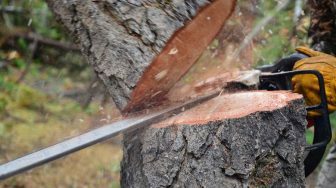 As a matter of fact, it can even cut through some of the hardest tree spices such as the Texas Mesquite and the Pecan. Why the Pow’ R’ Kraft 65575? What’s with this power tool that sets it apart from other electric wood splitters in its class? Apart from its incredible power, the Kraft 65575 also has a host of other outstanding features that have wowed lumberjacks and average homeowners alike. Top on the list is a well thought out control system that allows two-hand operation. That way, the user’s safety is assured. In essence, this means that you can use the splitter for outside jobs, in your garage, barn or basement. Wood splitters can consume a lot of power which translates to escalating electricity bills. However, the Pow’ R’ Kraft 65575 7-Ton 15 amp 2-Speed Electric Log Splitter is designed to run on a standard household current, and its own thereby reducing electricity consumption significantly. Also, it comes with an integrated fault breaker to lessen the likelihood of power overload. This unit boasts a forward cycle time of 14 seconds as well as a reverse cycle time of a mere 10 seconds. 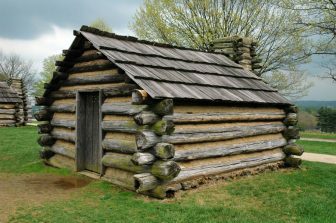 It, therefore, means that the logs will have enough time to move on the work table before they are split. 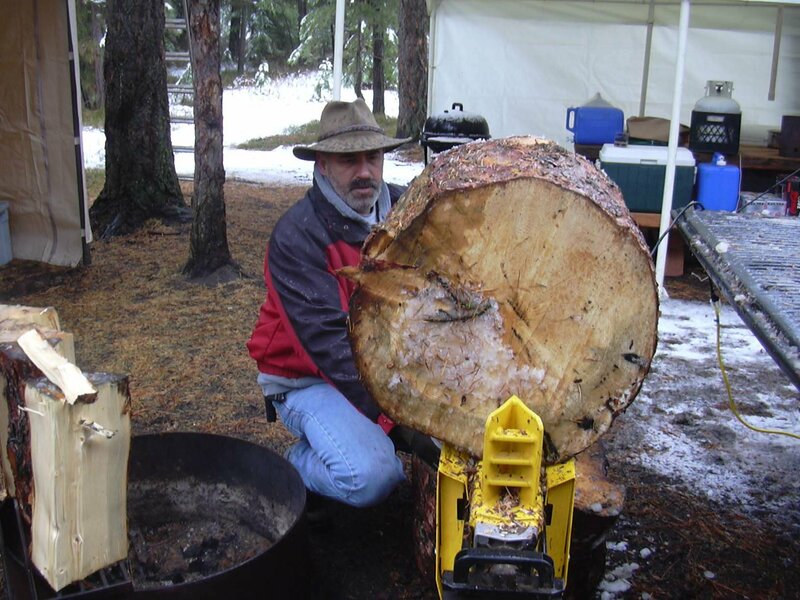 Even though this machine will split logs that aren’t necessarily cut at a ninety degrees angle, it works best on dry wood meant for a fire pit or outdoor and indoor fireplaces. Yes, despite its size, the Kraft 65575 has massive power to meet small to moderate splitting tasks. 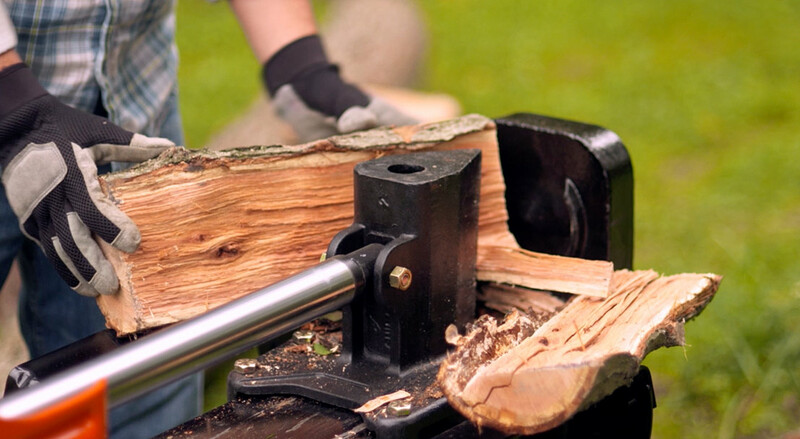 To take full advantage of the power, consider using the 7-ton force as you start to split your wood and shift to the relatively faster 4-ton force to complete the task. 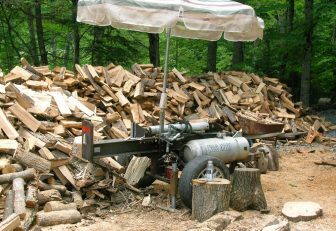 If you’re an average homeowner, it is easy to feel that this machine yields too much power for your occasional wood splitting tasks. If so, you may as well choose the Boss industrial ES7T20 Electric Log Splitter, 7-Ton. This one runs on a 2 HP motor that is equally powerful for light splitting jobs. 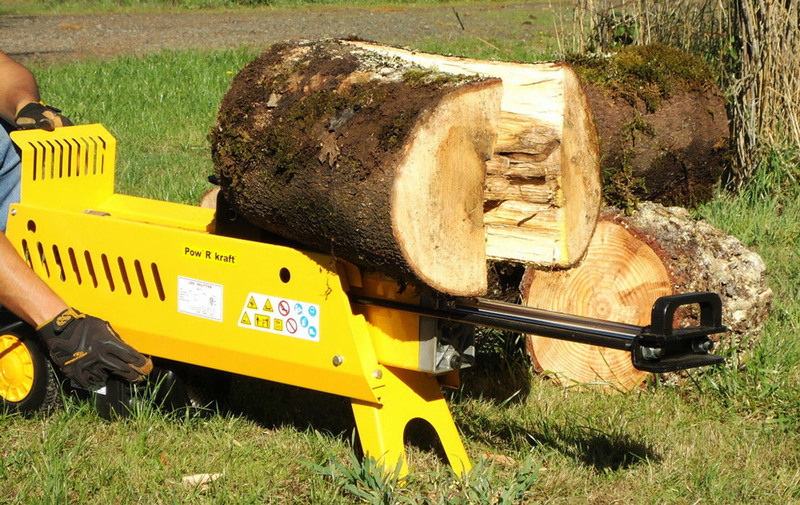 This unit may be small compared to other larger electric wood splitter. 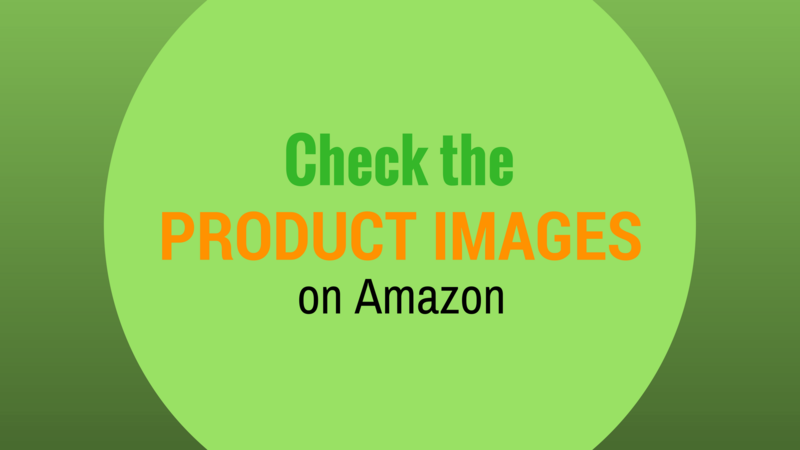 But, you may want to know that the best electric log splitter out to be movable. On that front, the Pow’ R’ Kraft 65575 7-Ton 15 amp 2-Speed Electric Log Splitter comes with large wheels that enable you to move it from one point to the other with relative ease. Besides, its design gives way for hassle-free position and reposition. The compact size also contributes to the machine’s usability. In other words, you can use it even in cramped indoor or outdoor areas without having to worry about the space. 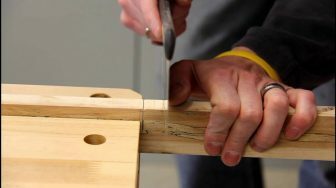 For a power tool that will be used for tasks such as wood splitting, the last thing you want to compromise on is the construction. The Kraft 65575 doesn’t disappoint when it comes to sturdy construction. It boasts an all steel construction for durability and longer working life, two of the most important aspects to consider when looking for value for money. Made by a company known for the quality of its power tools, the Pow’ R’ Kraft 65575 7-Ton 15 amp 2-Speed Electric Log Splitter is in a class of its own. If the number of positive customer reviews it has attracted is anything to go by, it could be correct to say that this is “tested and proven” workforce that would be a great addition to your home. 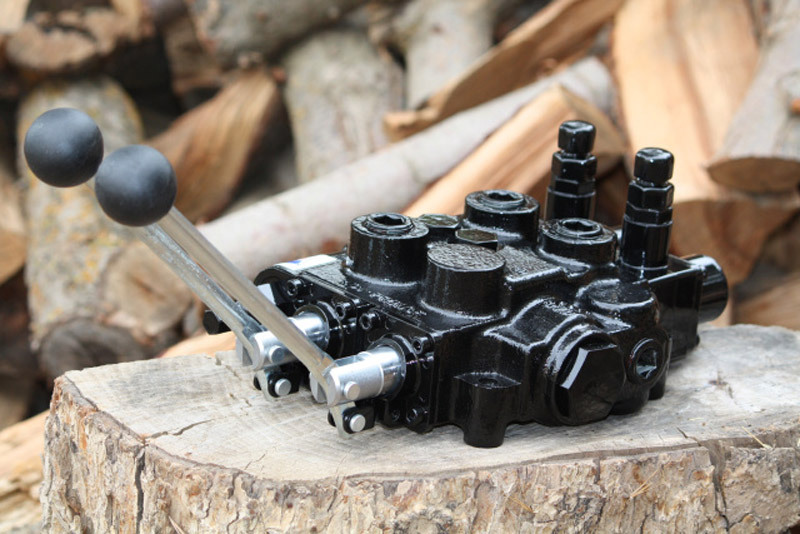 With its remarkable power, this is the electric wood splitter you need as an alternative to heavy-duty, gas-powered unit. Of course. There’s a simple formula that I’ve managed to forget since I don’t do ‘tricity stuff anymore. I think it’s volts X amps = watts. I’m sure you can. I’m not sure where. Check on Amazon, if they don’t have, then I’m not sure where you could buy the hydraulic seals.